Roxborough Living - Traffic – UGH!!! You say the word “traffic” in Roxborough, and residents typically would say, “where?” But that’s not the case of late. We are surrounded by it. We can’t get out or in without experiencing a bit of it. But, before we all get going on how frustrating it is, let’s remember a couple things. One, its temporary…or at least that’s the plan. And two, it could be a lot worse. I moved to beautiful Roxborough, CO just over three years ago. My husband and I moved here to get away from the hustle and bustle of Washington, DC. During the six years we lived in DC, we traveled in, out and through that city on every mode of transportation – except horse, which actually might have been faster now that I think about it. Both our jobs required weekly trips to other cities and a commute that equated to 3 hours round trip every day. I remember one day I parked my car 5 blocks away from our condo and walked the rest of the way because I was so tired of sitting in traffic. So yes, I too get frustrated by traffic in Roxborough because I moved here to get away from it all. However, Denver is growing exponentially. According to the U.S. Census Bureau, Colorado added over 100,000 people to its population between 2014 and 2015. This makes Colorado the 2nd fastest growing state in the U.S. Therefore, roadways need to be modified to accommodate. 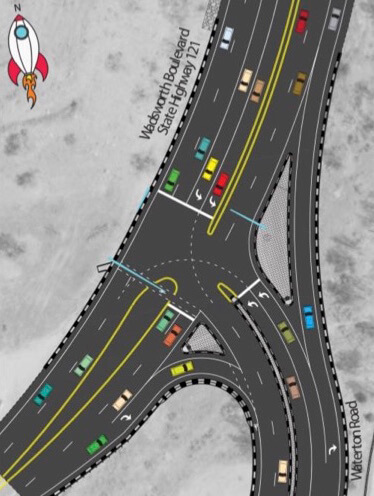 Back in April of 2015 I shared with you the development plans for the Wadsworth and Waterton Road intersection. There have been some updates recently to that plan which might ease some tension on the traffic issues we are all experiencing. 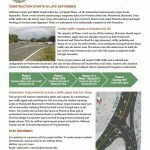 The detour road (phase 1) is almost complete which should reduce some of the congestion. But, there will be more disruption later next month and into the new year as Phase 2 and 3 are started. We’ll see Wadsworth reduced to one lane each way. Check out the below flyer for more information. Titan Road hasn’t proved to be much better. Roxborough residents should expect intermittent single-lane closures throughout the week as additional improvements are executed. Although we won’t see any relief in the near future, the end result will provide minimized traffic issues to Roxborough residents. After all, we are expected to get over 30,000 new neighbors in the next 20 years. For the time-being, check out this online traffic tool Douglas County has provided. You can subscribe to cone zone notifications in and around your area to keep you ahead of potential congestion.